A very efficient way of noting details of a meeting is by writing the minutes of the meeting. 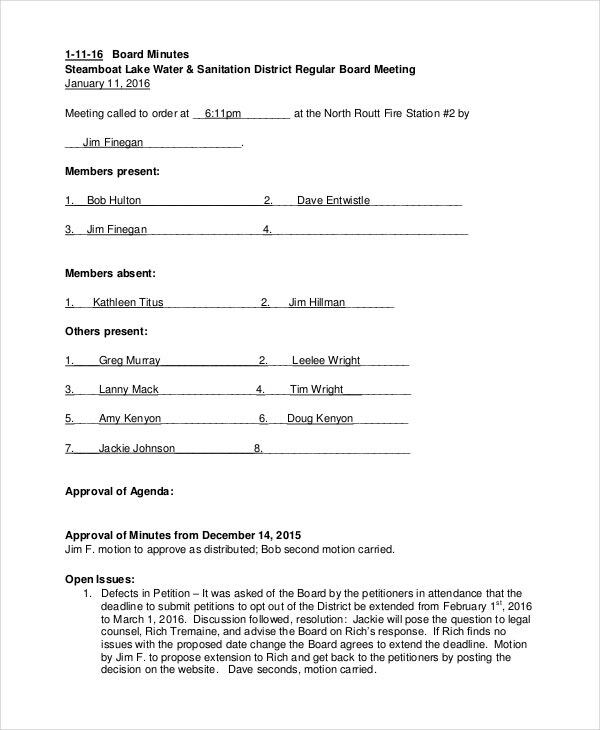 These records include the names of everyone who attended the meeting along with their titles and the main agendas that were discussed in the meeting. An efficient way of noting the minutes of the meeting is by the use of well-defined templates. You can make use of the below listed annual Meeting Minutes Templates for this purpose. 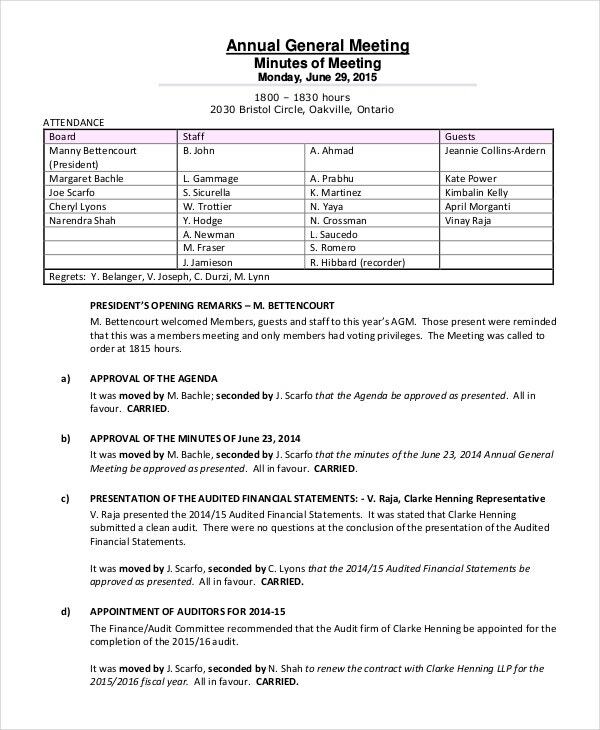 This annual meeting minutes template has been designed to note the minutes of the meetings which are held annually with the members of the board and that of the staff. 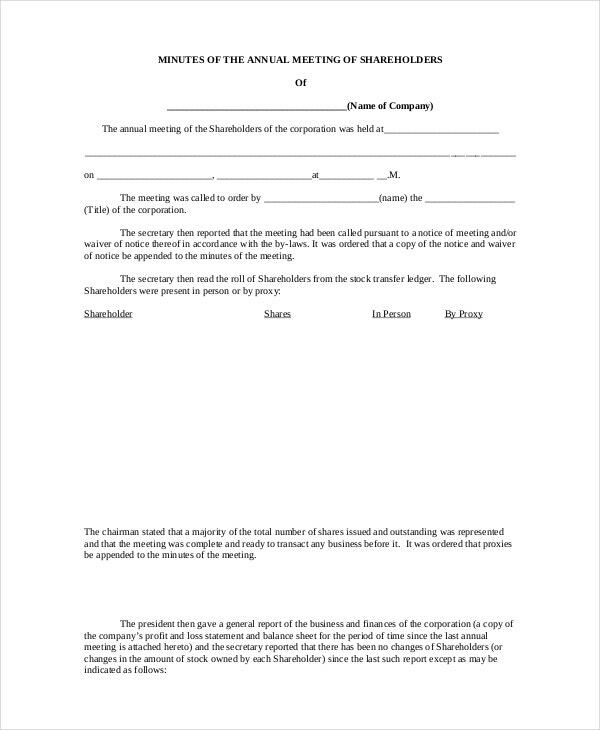 This is an annual meeting minutes template that will be useful for recording details of the annual meetings that are held between the director and the shareholders of a corporation. > How to Use the Annual Meeting Minutes Templates? The Annual meeting Minutes Templates have clear instructions which can be very helpful in using the templates. A few main topics are to be covered in all the meeting minutes template. Firstly, it should be noted who is presiding over the meeting, which is usually the president or the director of the company. Then names and designation of everyone who is present in the meeting should be noted. After this, another main point is the main agenda of the meeting. Also, the points discussed and decisions that were made by majority members present in the meeting should be noted in the template. This annual meeting minutes templates can turn out to be extremely efficient in recording the minutes of the meetings which are held yearly between various members of the board of directors of a corporation. 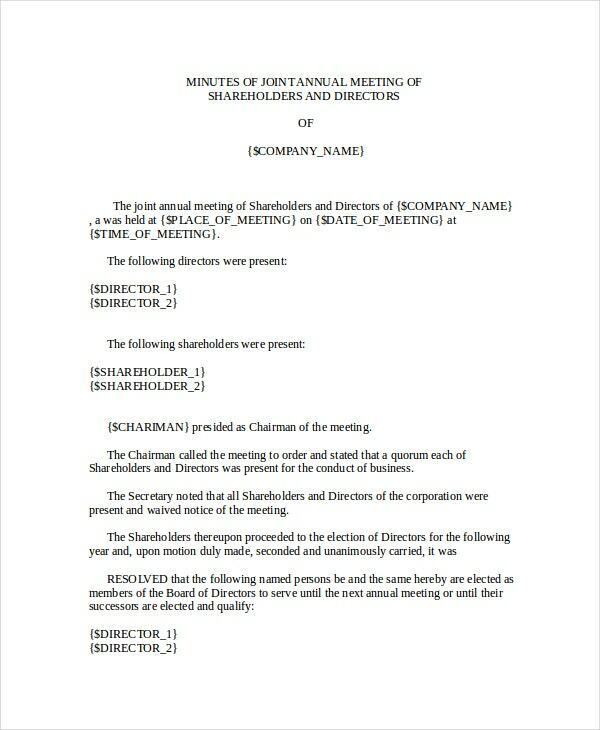 This is another very useful annual meeting minutes template which will be very helpful in recording the minutes of the meeting held between shareholders and the president of the company. > Who Can Use the Annual Meeting Minutes Template? 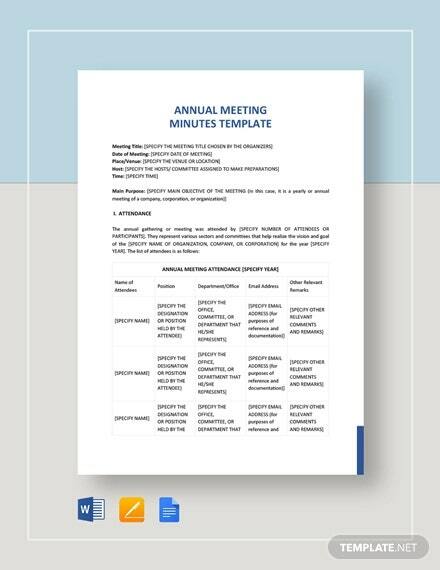 These annual meeting minutes template can be used by a wide variety of corporations and businesses. Every major company has a president, majority shareholders and staff members who are important in its decision making process. 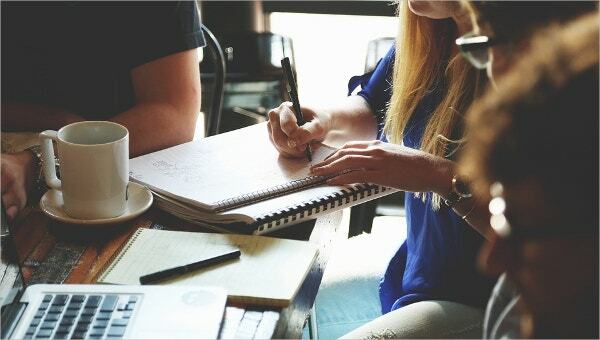 Meetings which take place between these members of the company have to be noted in a systematic manner and for this purpose, the annual meeting Minutes Templates can be used. The typist or secretary of the director or anyone who has been assigned the responsibility of noting down the minutes of the meeting can make use of these templates to do their task in a very orderly manner. 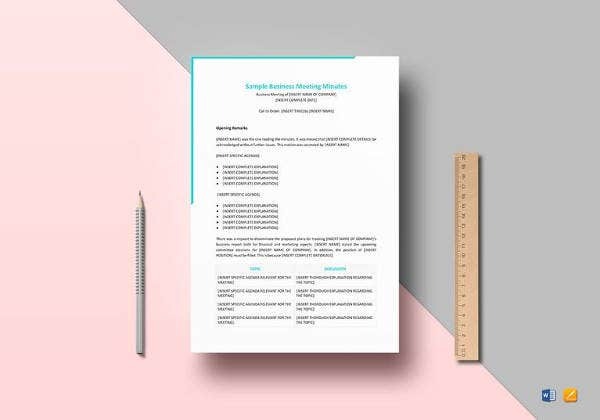 This is a very well designed annual meeting minutes template which can be used to record minutes of a meeting held between board members and various staff members of a company. > What are the Benefits of Using an Annual Meeting Minutes Template? There are several benefits that are associated with the use of an annual meeting minutes template. These meeting Minutes Templates provide a very systematic way in which you can note the various details of the points that are discussed in the meeting. 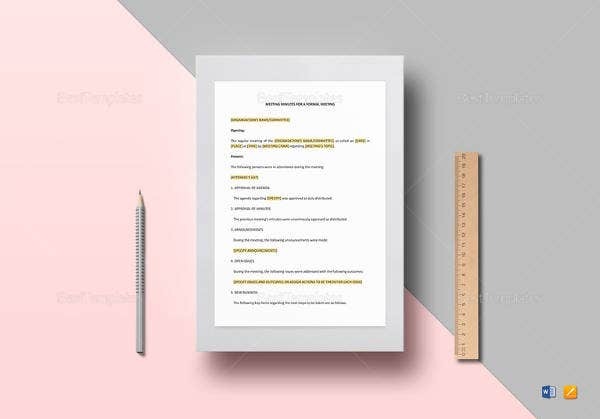 Minutes of the meeting are very important to be noted and these make very useful documents and thus it is very important to write them in a proper format which can be achieved by making use of these templates. 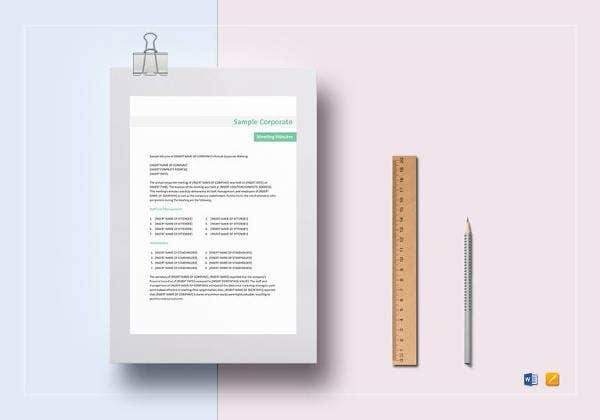 These templates also have a very useful benefit that they come with very easy to understand and straightforward guidelines. 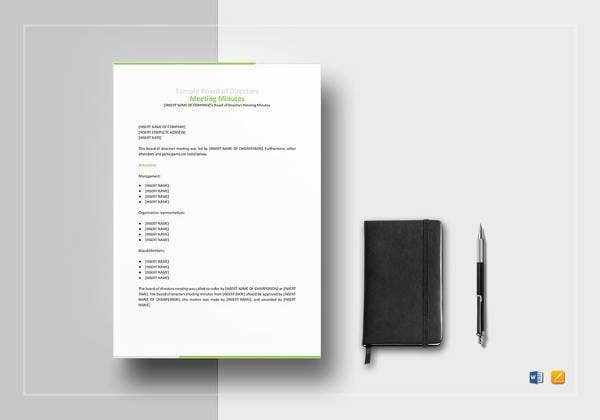 Minute templates are very useful for noting the details of a meeting in a orderly and useful manner. 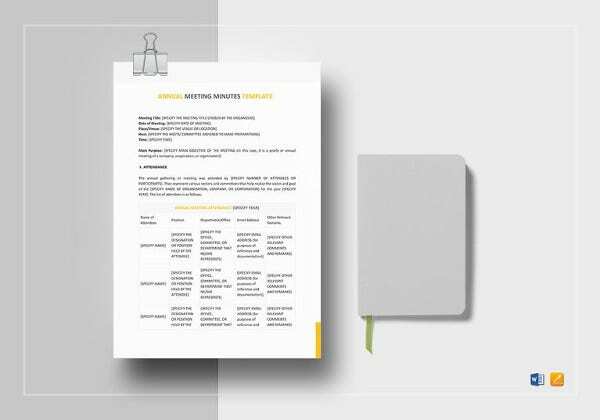 All the above given annual meeting minutes template have been taken from very reliable sources and will turn out to be very useful for you. Choose the template that you find to be best suited for your use.